The gaming industry has become an integral part of our life, and, together with the growing part of the interactive entertainment market in our country, the significance of such a phenomenon as localization or video game translation is also growing. If, for example, with Hollywood movies, things are more or less acceptable, with games, this can be a real disaster. Video game vendors select either a translation agency or crowdsourcing platform to attract game fans to video game translation. Each business approach to game localization has its pros & cons. Let’s talk about them. Unlike the movie, which naturally can’t be watched in the original by all the people, in the game you can enjoy the process itself, not really delving into the details of the plot. This is what game publishers use, saving on new staff and depriving of the opportunity to enjoy the game the plot component in all languages. Unfortunately, not all popular world games are translated. For crowdsourcing approach, a game must be popular worldwide. It should have many fans in all parts of the world. And its localization should be quite easy for non-professional translators. For a long time there exist people, groups, whole communities that devote their free time to crowdsource localization. Of course, in our days the threshold of entry into this community has gone down so much that the number of enthusiasts is almost entirely composed of underage schoolchildren. But even here you can find something really cool – some of these people really care about quality of language and translation, since what they do is sometimes even better than the original localization. Many of us literally grew up on amateur localizations. Individual video game translations could be called masterpieces – megabytes of the translated text could be literally read as a book. Can we say so about the official translations? Not always. So what is the difference between the crowdsourced video game localization of enthusiasts and the product of professional translation agency? An amateur translation usually is inferior to the professional. However, many of the fan video game localizations surpass commercial translations in almost all the criteria: quality, naturalness, simplicity. The reasons are mostly obvious – if you do something with passion, then the result of the translation will be good. But let’s leave for a while subjective assumptions and take a look at things more thoroughly. Let’s compare the advantages and disadvantages of competent fan against the professional translator. Awareness. The fan thoroughly knows the subject area of ​​the project. He is a real encyclopedia. Some amateurs will even tell you the etymology of the name of any monster, backed up with a couple of dozens of references to various epics and works of art. With this knowledge, you can partially recreate the logic of the creators of the game, applying it to the translation process. Quality oriented. Unlike official video game localizers, amateurs care about the presence of the result and about quality. Most fans make the translation more for themselves than for others. When a paid translator follows guidelines, the amateur will do everything to express emotions and atmosphere correctly. Immunity to restrictions. Fans often don’t care about technical difficulties. If necessary, they will look into the game code to make everything look perfect. In certain crowdsourced communities, this is even a common practice, as well as fixing bugs of the original version. Supreme standards. Whatever the quality control in production is, a responsible amateur checks the translation for errors better than any of the editors. A perfect example of the amateurs’ localization is Freemake Video Converter, though it’s outside of game world. Some years ago, the software fans helped to translate the tool to their mother tongues and they provided great high-quality results. Initiative. Amateurs, as a rule, are creative people. Therefore, they sometimes can’t resist the temptation to improve anything in the game. For example, by inserting patches in the translation that correct some of the defects in the original game. Assortment. If publishers chase profit, localizing the most profitable games, then fans justify their rank, and translate only those games that they like. Independence. Professional translators are entirely dependent on publishers and developers. The amateur is his own master, which gives him the opportunity to directly make all decisions and to not think about marketing. The amateur does not care if the game isn’t profitable for the publisher. For non-professional translator, it will always be relevant until he/she stops loving it. Absence of censorship. Sometimes publishers overuse censorship, fearing to cause a shock among representatives of another culture or chasing the age ratings. Because of this, the games suffer, especially if there are religious or sexual overtones. For example, a resurrection in a church can easily become a recovery in a hospital. Subjectivity. Crowdsourced translators are often overly subjective. For example, they consider sacrilegious the adaptation of Japanese names to other languages. 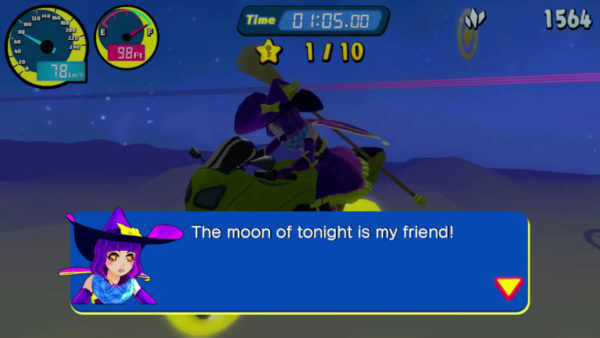 At the same time, playing the English version of the Japanese game, they rarely have something against the same adaptation, but for the American audience. What could be more harmless than the question of “sushi or susi”? But, alas, personal affection is a serious matter. For amateurs, there are too many “sacred cows”. Any boring trifle, whether it’s the wrong pronunciation or the usual writing, can become a stumbling block for the translation community. Low “professional” level. Yes, most enthusiasts translate with a dictionary, because those who can do it freely, can’t always do it for free. The dictionary may be old enough, so there are no modern meanings of some words. Of course, nowadays you can easily use Google Translator to get more or less adequate translation, but you still need to edit it and correct some parts of the text. Weak motivation. Not everyone has enough of it. Enthusiasm might quickly run out, especially when it comes to large amounts of work. Perhaps, sometimes the only source of motivation is the anticipation of the moment when the translation will be completed. Timing. Many amateur crowdsourced projects last for years, in some cases – almost decades. During this time, the translation may lose relevance, but, nevertheless, among connoisseurs, it will not lose its significance. Loss of meaning. When video game translation is finalized by people who do not compare it with the original game language, it can lose sense. Thus, texts can be improved more than once, but each “improvement” can bring to the loss of the original meaning. In addition, it is not uncommon to “re-translate” the text. In these cases instead of the Japanese original, it’s taken the translation into English. Methodology and terminology. From amateurs one can’t expect a well-coordinated work or professional slang, so often the whole process looks like complete chaos: technical aspects are barely solved, the translated text is a mash from the actual text and all sorts of technical words, and project participants communicate with each other in incomprehensible local slang. The legal side of the issue. Although the cases concerning the legal aspects of crowdsourced video game translation are very rare, still there is no clear framework for what is allowed and what is not allowed. If the rights holders have claims, they limit themselves to the email with a polite request to refrain from further work. For obvious reasons, professional translation agency doesn’t have of such issues because game maker signs official contract with all necessary legal terms concerning translation rights and regulations. Both crowdsource and professional translation approach have their weaknesses. But, despite the huge number of cons, amateur translation, play significant role in video game industry. In many ways amateur translations outperform official localizations (not always, but in many cases). But taking into account modern video game marketing needs, crowdsourced translation isn’t suitable for all business projects.